Talking to my daughter about periods. When to do it?? 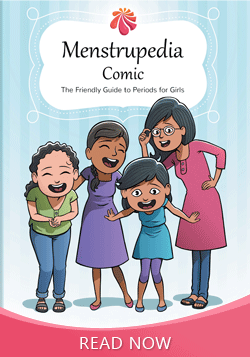 DISCLAIMER: The views and opinions expressed in this forum are solely that of the individual user's and Menstrupedia cannot be held liable for the accuracy of any information provided by the users in this forum. Users are strongly advised to consult a professional medical practitioner before taking any steps based on the information provided in this question and answer forum.